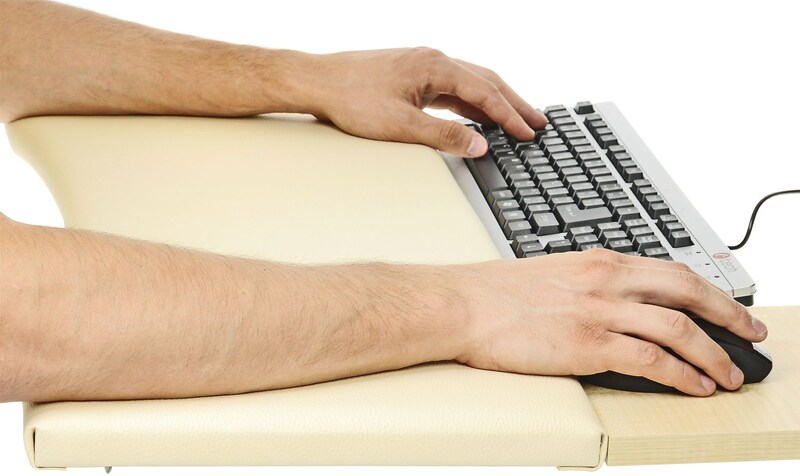 The Arm Pad ergonomic to the keyboard and mouse ensures that your hands and wrists are properly positioned while working on your computer. This protects against the emergence of "computer diseases" and helps in their prevention and correction of wrist and arm positioning. In addition to this Arm Pad, working with your computer becomes much more convenient and comfortable. The pad serves as a hand rest when typing on the keyboard and when working with the mouse! Thanks to the soft surface, you can keep working for long hours and at much better conditions without any health problems! elbow depression - which often leads to "tennis elbows"
The pad should be used not only to prevent the occurrence of these computer diseases but also to help correct some of the above mentioned diseases! It is very important to prevent or correct the illness of your hands now, if there are any, to avoid invasive surgery for such correction later when a permanent damage has already occurred. This is a Czech product and it is protected by an industrial design. Wrist pad, Mouse & keyboard pad Done! For shipping to other EU countries visit this page Pad ergonomic to keyboard and mouse, size 3, beige. 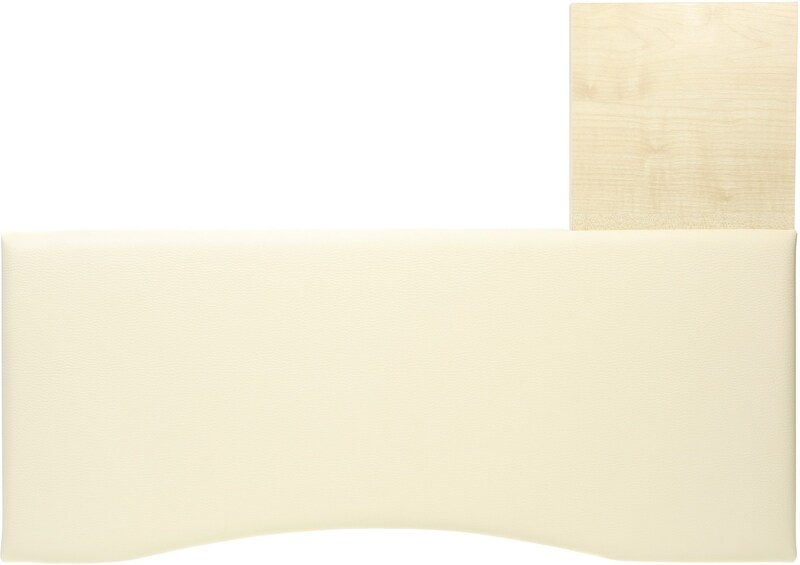 Für Versand nach Deutschland, besuchen Sie bitte Ergonomische Unterlage für die Tastatur und die Maus, Größe 3, beige. Chcete doručit zboží do Česka? Prohlédněte si Podložka ergonomická ke klávesnici a myši, velikost 3, béžová. Chcete doručiť tovar na Slovensko? Prezrite si Podložka ergonomická ku klávesnici a myši, veľkosť 3, béžová. Für Versand nach Österreich, besuchen Sie bitte Ergonomische Unterlage für die Tastatur und die Maus, Größe 3, beige. Magyarországra történő kiszállításért tekintse meg ezt a termékoldalt: Ergonomikus pad a billentyűzethez és egérhez, 3-as méret, bézs.